Your family will love this upgraded, luxury condominium located on the beautiful white sands of the Gulf of Mexico. Walk out your door to one of the world's most spectacular beaches, and enjoy the turquoise water and white sand that have made Destin famous. This two bedroom, two bath condo is decorated in bright cheerful colors with pool and beach views from every room. Both bedrooms have king beds, so ideal for 2 couples or just anyone. A queen size sleep sofa is in the living room. The balcony is the perfect place to enjoy a favorite book or dinner under the stars. You will love the fabulous view from the 12th floor. It is truly an escape to paradise. This beautifully decorated and maintained condo directly on the Gulf of Mexico will make your vacation a dream come true. Your key will arrive before you leave home. You can then pull into your assigned parking space in the building and ride up to the 12th floor on the high-speed elevator. This condo, located in the newer west building, is the height of convenience and luxury. Take a look at our other condo (same building, same floor plan, 6th floor) #475506. My husband & I live in Louisiana where we both grew up (Houma & Alexandria) but have also lived in CA, AR, & TN. We have two grown children and one granddaughter. Real estate investments keep us busy, and travel, cooking, and photography are fun for us. Destin's beach is the best anywhere with white sand and clear water, and our beach service provides chairs & umbrellas to maximize the experience. Our swimming pools & hot tubs overlooking the Gulf of Mexico complete the picture. The floor plan of our condo is our favorite of all we've seen with all rooms having beach views. Also the secure, upscale environment adds to the experience. Silver Beach is in the middle of everything yet has a spacious feel with lots of beach frontage. We can walk to dinner and can easily get to great shopping, movie theaters, restaurants, and entertainment. Also I vacationed in the Silver Beach cabins as a child and have fond memories of this very spot. It is perfect for us. Full-sized washer and dryer are located in laundry room in the condo. But bring beach towels from home. 55" 4K ultra HD smart TV in living room Smart TVs in all rooms. HD channels, movie channels. Streaming available through your account. We had a great time! This condo is amazing! The beds are very comfortable and the view is incredible! Kathy, thankyou so much for letting us rent your beautiful 2 bedroom 2 bath condo. Your place was fantastic, beautiful views of the golf right when you walk in as well as both bedrooms. My family and I thought this was the best beach we have ever been to with the white flour like sand. The views were tremendous and we absolutely loved Destin. We will definitely like to book your condo in the future, we got very lucky for March with great weather all the days we were there. This was my parent's first trip to Destin and I cannot say enough great things about this property. I've been to Destin previously and stayed at another location and this one was so much better and made our entire trip enjoyable. The actual unit was outstanding - decorated very well, spotless, and had everything we needed. The beach chair service was excellent and so easy as mentioned in other reviews. Also, as the other reviews mention - the elevators are extremely fast so no waiting. All views from the condo are amazing! Kathy, the owner, was a pleasure to work with and was also very understanding when I got the check out day/time mixed up. We will definitely be returning to this location, especially since my mother said it was the best vacation we have had in a long time! Condo was very clean and well maintained. Was very nicely decorated. Had all the amenities that you would need. Beds were very comfortable. The view was simply amazing. Will definitely stay here again. Kathy is the queen of accommodation. 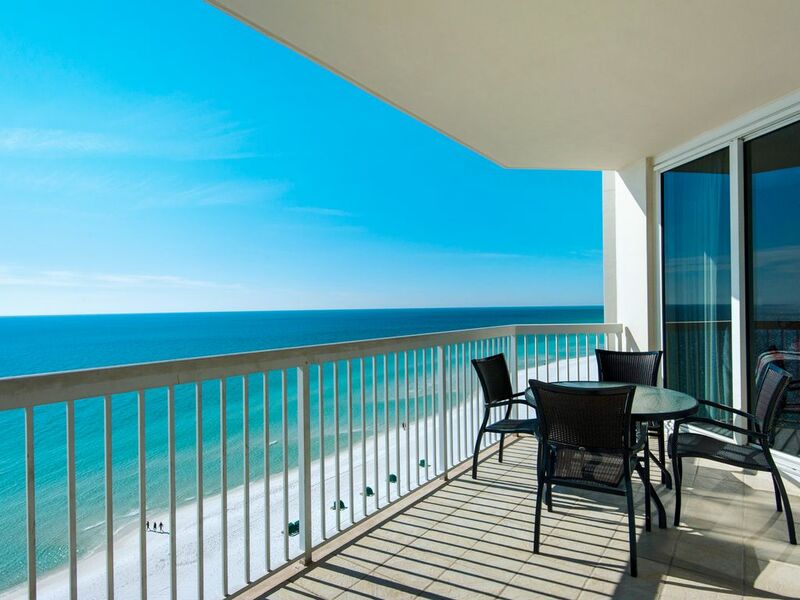 Her condo is the perfect place to stay in Destin! This was our second stay and it won't be our last! Thanks Kathy!!! From our convenient location on Hwy. 98 E across from Airport Road, you can walk to The Back Porch or Ruth's Chris Steak House, just to name a few. Shopping is great up and down the beach with Silver Sands Factory Stores & Destin Commons being favorites. The kids will love Big Kahuna's water park & The Track which are nearby. $250.00 deposit returned after condo passes inspection and all key/fobs are returned. Our weeks run Saturday to Saturday. We do not overlap which controls two weeks.